51320 RGE RD 10 RD Welcome to he Country! 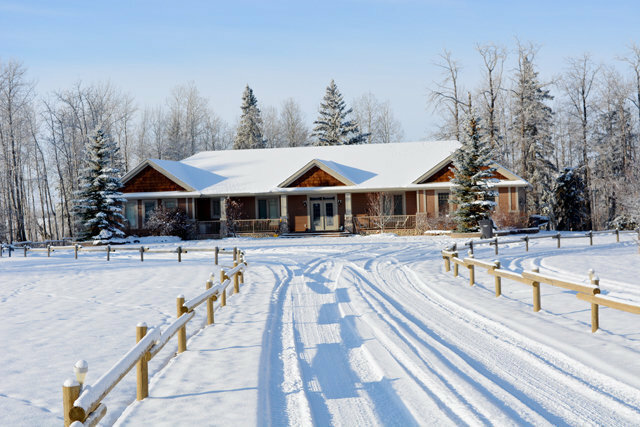 This home is on 69.75 Acres South of Stony Plain. Walk-out Bungalow 3600 Sq ft of living space on the main floor plus 2253 Sq Ft on the walk-out level. Stellar built home means quality through-out. Kitchen has plenty of Antique white cabinets with granite counter-tops. Walk-through pantry great access to the garage, room for a stand-up freezer & second refrigerator. The dining area is spacious a great room for entertaining large groups. The family/great room is spacious with 9' ceilings with crown mouldings through-out. Two Master bedrooms main 51x21 including the sitting area, master bath with a tiled walk-in shower, soaker tub, also a huge walk-in closet. Main floor laundry room, Second Master bedroom +1 other. bedroom. Walk-out level with 2 bedrooms, media/theatre room, games room with wet bar. Central A/C, Boiler system. Double attached garage plus a 6000 Sq.Ft. shop with inflow heat & radiant heat with 3 - 14' over-head doors. Second shop with dirt floor 60' x40'.